Happy Monday Babes! Hope everyone had a wonderful weekend! As soon as I got this shirt in, I couldn't wait to share it with you all. I am absolutely loving basic pieces that have a little fun twist to them. 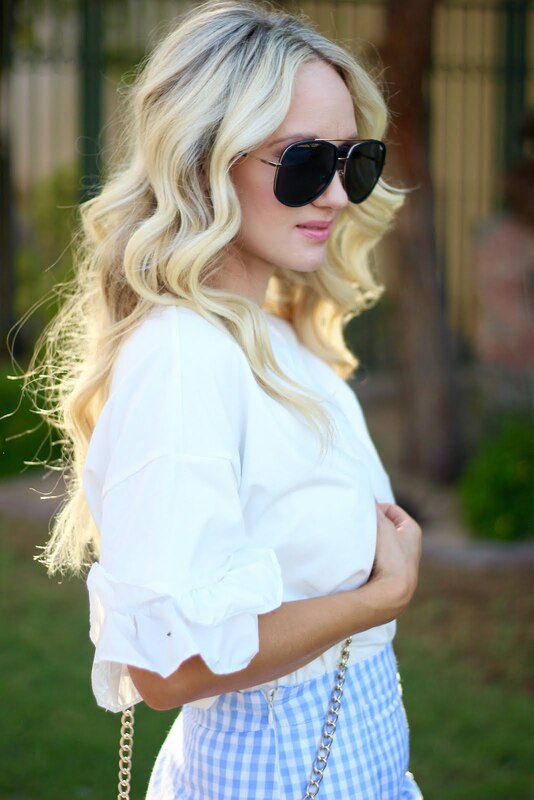 Like this tee, that is only $12, it also comes in white with blue and white striped ruffles here...so cute! 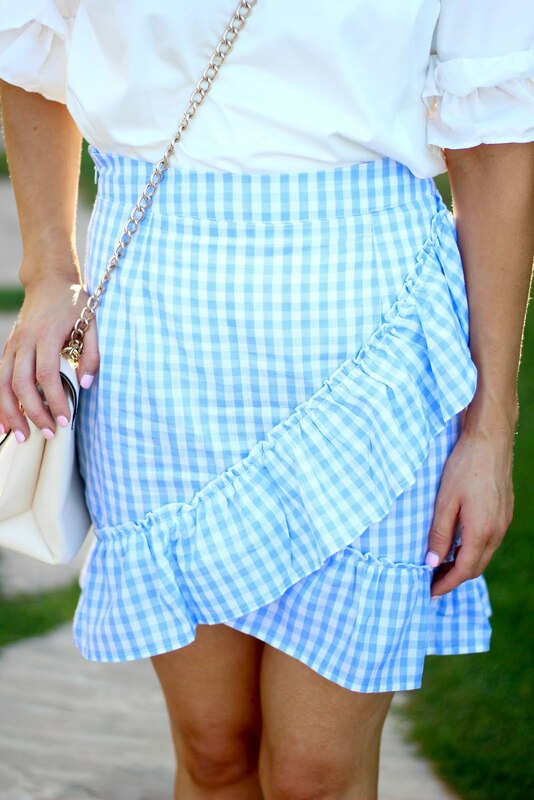 I paired it with this little gingham skirt, that unfortunately is sold out. But, I linked some similar ones. Thank you for stopping by and being such great readers and followers!